The technologies developed and discoveries made by mechanical engineers affect the lives of people globally. Being a mechanical engineering alumni can open the doors to success in a wide range of industries, including energy and environmental systems, biomedical devices, automotive design, robotics and more. 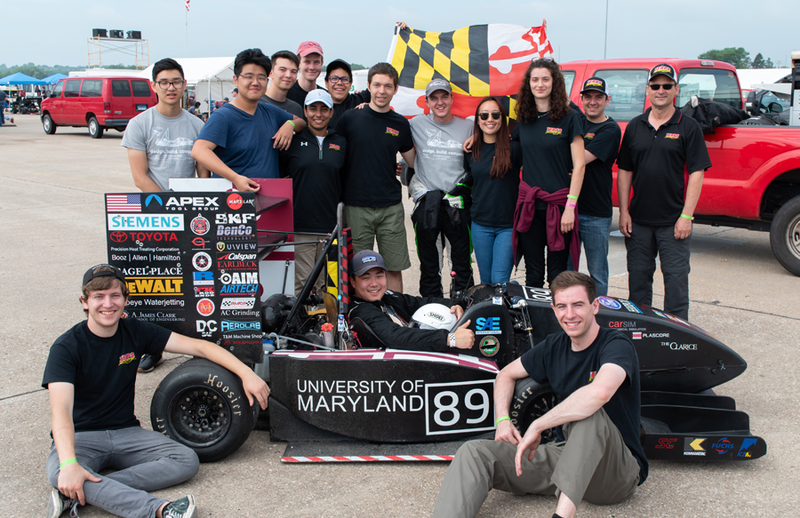 From Terps Racing to the Solar Decathlon and beyond, student competition teams offer students the chance to cultivate real-world engineering experience through hands-on opportunities beyond the classroom. All first year Clark School students participate in Keystone classes to begin their engineering experience. Class activities include building your own hovercraft and testing it on a 60 foot course. Working in teams to complete a hands-on engineering project in year one builds fundamental skills and knowledge you'll use throughout your engineering journey. From creating new biomedical technologies that simulate human systems for medical testing to designing more effective heating and cooling technologies, our undergraduate students have a chance to get involved in solving the pressing issues of tomorrow. Students in mechanical engineering have access to a wide range of laboratories and research facilities to help them engage in research-related activities that cultivate experience for future opportunities. A broad range of student competition teams and research and volunteer organizations empower mechanical engineeirng undergraduates to apply classroom knowledge and hone the skills needed to be successful in the years after graduation. Mechanical Engineering encourages students to study abroad and offers programs designed specifically for ME students that focus on a variety of topics. The University of Maryland's promixity to Washington, D.C. offers students unique professional opportunities with leading engineering consultancies, construction companies, design firms, and research labs as well as state and federal agencies. Department-supported activities, including Design Day and the Mechanical & Aerospace Career Fair, enable students to meet industry leaders and hiring managers.